BILLINGS, Mont. — The District Court for the District of Montana has allowed the Montana Beef Council, Nebraska Beef Council, Pennsylvania Beef Council, Texas Beef Council, and three individuals to join in R-CALF USA's beef checkoff lawsuit, a request made with R-CALF USA's consent. The lawsuit originally calling for an injunction against the Montana Beef Council was recently expanded to include 14 more state beef councils, including those now joined as parties. The three individuals granted intervenor status are: Walter "Watty" Taylor of Busby, Mont., past president of the Montana Beef Council; Lee Cornwell, Glasgow, Mont., rancher, past Montana Stockgrowers Association director, brother and former business partner with Lynn Cornwell, past National Cattlemen's Beef Association president; and Gene Curry, Valier, Mont., rancher. Bill Bullard, the CEO of R-CALF USA said that the four state beef councils sought intervention in the lawsuit on two different grounds. First, the groups claimed they had a constitutional right to intervene and secondly the groups asked for permissive intervention, which means they have a financial interest in the outcome of the case. Bullard said his group did not approve of the request based on the constitutional right argument. "We pointed out in our brief that the very fact that they made a motion to intervene proves that it is government speech, and not speech overseen by the government." Bullard said the groups originally sought permission from USDA to intervene, and USDA did not grant such approval. "When they asked the government's permission to intervene, the government did not grant that permission. (USDA responded that it basically didn't care one way or the other.) We pointed out that this demonstrates that the private councils use checkoff money to further their own agendas. R-CALF USA did give the four groups consent to intervene if the court granted them permissive intervention, but objected on the grounds that the groups had a "right" to intervene. Bullard said he does not know why those four particular states, of the 15 in the lawsuit, chose to request intervener status. Chaley Harney, representing the Montana Beef Council, one of the four interveners, said, "We entered the lawsuit to make sure that the voice of Montana cattlemen is heard directly on an issue that directly impacts Montana producers and is so important to our industry." 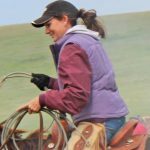 She added that checkoff collection in Montana remains mandatory and therefore administrative duties continue, however many of the potential beef promotion programs remain unfunded. The organization wanted to finance promotion, research and producer communication projects to the tune of $825,000, but will be unable to unless far more producers sign consent forms. On Oct. 23, Harney reported that the MBC had $62,150 in checkoff dollars from consenting producers, to fund programs. Carryover funds, along with a USDA-approved "re-imbursement" of up to $25,000 per month from the mandatory checkoff dollar, are financing the MBC's administration costs and other expenses. Suzy Geppert with the South Dakota Beef Industry Council, said her office and staff are "continuing to do our job and do it well." Although South Dakota and 13 other states were added to the injunction lawsuit, they have not been told by the court to cease retention of half of the checkoff dollars they collect. And the South Dakota Beef Industry Council is not one of the four groups that sought intervener status. Bullard explained that his group did not ask the court for a temporary injunction against additional 14 states, but instead will later ask for a permanent injunction against those state beef councils. "We don't want to back up now and try to get a preliminary injunction, we hope for a final resolution — a permanent injunction. The USDA is operating the checkoff program in these states unconstitutionally." Bullard said the court could eventually decide to call for an injunction against some of the state beef councils, all of them, or none of them. The states that were added to the injunction suit in addition to Montana are: Hawaii, Indiana, Kansas, Montana, Nebraska, Nevada, New York, North Carolina, Pennsylvania, South Carolina, South Dakota, Texas, Vermont and Wisconsin. The case will now go forward with the councils as intervening-defendants. "This will allow R-CALF USA to uncover how the councils decide to expend checkoff dollars, helping producers be better informed about how their money is used or misused by the state beef councils," Bullard said. The lawsuit was originally filed to enforce an injunction on the Montana Beef Council. The injunction has been in effect since June of 2017. The Montana Beef Council continues to collect the federally mandated $1-per-head beef checkoff, but cannot keep the customary 50 cents of every dollar for in-state use. Rather, the Montana Beef Council must forward the entire $1 per head on to the Cattlemen's Beef Board, except in the cases where Montana producers have signed forms requesting that half of their checkoff contribution be kept in state for MBC programs. R-CALF USA also explained that for the beef checkoff program to be constitutional it must only produce government speech, which is speech controlled by the federal government, not subject to local or state control by nongovernmental entities. Therefore, R-CALF USA stated it would agree to the councils entering the case because their statements are proof that the councils are using producers' checkoff tax dollars to fund private speech. As one example, R-CALF USA pointed out that the government did not agree to the councils' request to join the case as parties. Yet, the councils have expended checkoff taxes to do just that. The R-CALF USA membership supports policy that calls for a repeal of the current checkoff. "We also have policy that says no lobbying group should be eligible to receive checkoff funds, there should be an absolute separation between NCBA and the Federation of State Beef Councils, and that checkoff dollars should be allowed to promote USA beef. If those reforms were achieved, this would no longer be the current program we are supporting the repeal of." Bullard said R-CALF USA has no intention of seeking access to checkoff dollars.